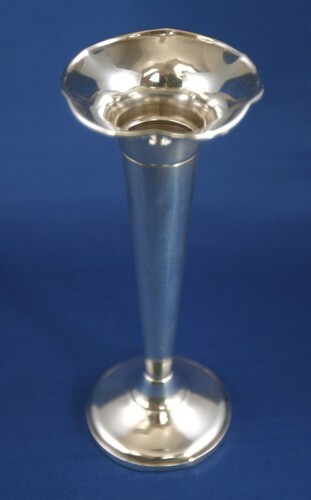 Pretty Fisher sterling bud vase, weighted base. Tulip rim. Weighs about 101g. Measures about 6 1/2 inches high by 2 1/2 inches at top. Condition is very good. A couple of small dents, typical of sterling.